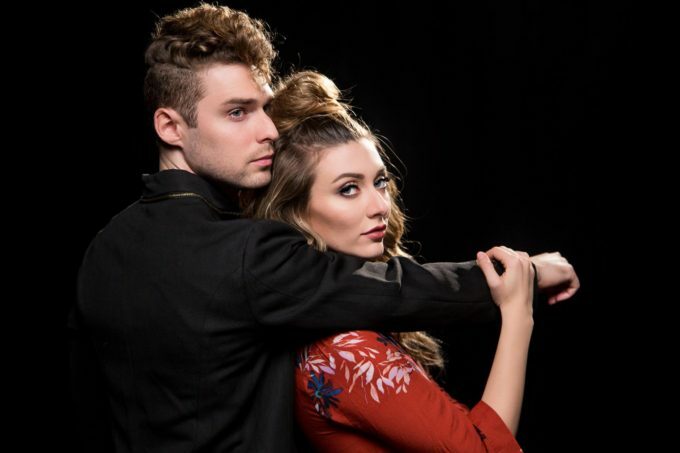 For a fleeting moment there, it seemed like Karmin videos were a bit like buses; you wait ages for one and then just as you’re about to give up and walk, two come at once. However, the US pop duo (that’d be Amy and Nick to you and I) haven’t actually dropped two videos. Oh no. They’ve just re-uploaded the clip for ‘Along The Road’, a video they first aired back in March last year. But now that they’re counting down to the release of their new album ‘Leo Rising’ (which ‘Along The Road’ features on), it’s back for another outing. But the new clip is for ‘Blame It On My Heart’ and we see Ms Amy assassinate Master Nick while he’s tied to a chair with electrical tape over his mouth. Not that she appears too upset by what she’s done; she doing a little song and dance about it! It’s bloody brilliant. The kind of track that makes you scratch your head and wonder why in the world this band still isn’t signed to a major.